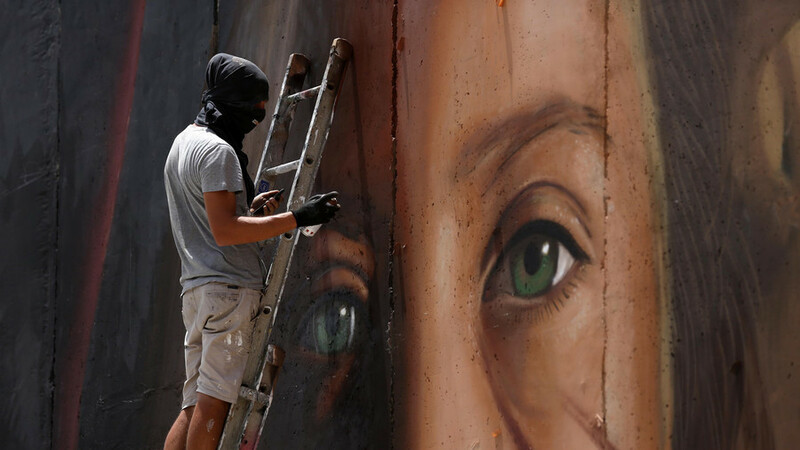 Israeli police have arrested the Italian graffiti artist who depicted Ahed Tamimi on a West Bank separation wall mural in Bethlehem, to coincide with the Palestinian teenage heroine’s release from prison. Agostino Chirwin, also known as ‘Jorit Agoch,’ wrote on his Instagram account “We are in prison from Israeli army. Who can help us please do it” on Saturday. He was detained with another Italian artist and a Palestinian, whose identities were not released, according to Reuters. Border police say that painting on the wall is illegal, confirming the arrest to The Times of Israel. Their spokesman said the suspects tried to get away in their vehicle. The mural had been created in time forTamimi’s release on Sunday. She was arrested last December for slapping an Israeli soldier in the West Bank village of Nebi Saleh. Footage of the confrontation went viral and the teenager’s subsequent arrest and detention garnered international attention, with many seeing her as the poster-child for Palestinian resistance against Israeli occupation. She was sentenced to eight months in prison.